We started off this week with heavy showers, massive puddles and a lot of muddy hands and faces. We moved to the hilly area of the forest on Tuesday. Some of the children like to play catch in this area as they find it a bit more exciting running up and down uneven surfaces. By the hills there are lots of bushes around. We went for adventures through the bushes and got really wet from the rainwater on the plants and of course played a few games of hide and seek. The children are showing exceeding confidence as they are able to take manageable risks in terms of climbing up hills and jumping off trees. Tree climbing is always on the agenda at Little Forest Folk. We did plenty of tree climbing and also used ropes to help pull ourselves up the tree. There are many great things one can do with a simple rope. This week the children made their own decision to help tie and untie ropes, working on their fine motor skills without realisation. One of our children held a worm for the first time this week after weeks of forest exploration. What a special moment! We have noticed that a number of children are interested in vehicles and different types of transport. For this reason, our next topic will be Transport, we will be focusing on this topic for the next couple of weeks. To find out who your child’s key worker is you can ask a member of staff during pick up and drop off times. Children can get really upset and have an unsettled day if their routines are tampered with. For this reason, we ask you not to bring your child in if you will arrive later than 9:10am. Piccolo is a tiny space and during pick up and drop off times it can get pretty hectic. We would like for you to drop your children at the door and make sure a staff member is there to greet your child. Also at the end of the day, a staff member will be available to give you the handover at the door. 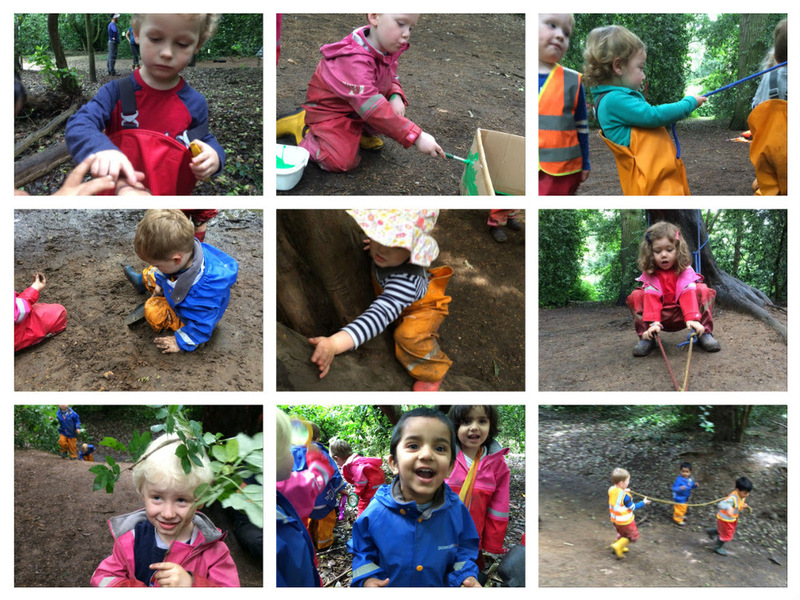 Newer PostWimbledon - Squishy mud!